There are many timers, most of them are complicated to use and badly designed. Minimalistic Countdown Timer is super easy to use and looks great. Large numbers can be seen even when standing far away. Original idea came from this “TEDx” timer, that you can download for free. Easy control. Swipe or tap to set your time in seconds! Autorestart, Count Down and Count Up functions. Minute or Unit based count. Optional sounds to keep you on track. Loud ringer on timeout – optional. Extended time. See by how much speaker went over time (new, iOS only). Large numbers for great looks and top visibility! Countdown can be seen even from far away – tested! Perfect for timing meetings, presentations, speaking events, startup pitches or for home practice. I am a preacher and speaker. I have used every countdown timer app in the store for keeping my sermons and speeches on track. Minimalistic Countdown Timer is by far the BEST!!! It is easy to use, big display for easy viewing and a bright red background when it’s time to stop talking. I also use this app in meetings to keep them on track. I am a freak about meetings staying on time and following the time parameters set for each item on the agenda. Minimalistic Countdown Timer is PERFECT for keeping meetings on track. The ability to change the time by using finger gestures to scroll the numbers is the best feature…doesn’t cause a distraction during the meeting…is quick and simple to reset. Like I said in my review I’ve tried every countdown and speaker timer out there…Minimalistic Countdown Timer is by far the best!!! Classy. Used this to conduct business meetings to maintain focus and remove unnecessary distractions. Stylish and minimal one trick pony that does what it says on the tin in an excellent way. 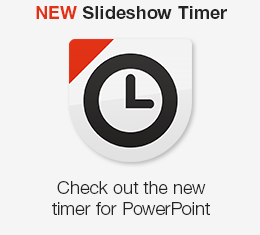 The timer is simple but classy, easy to use and perfect for presentations. It is exactly what I was looking for because checking the watch all the time during a presentation interrupts the speaker as well as the audience. Very useful indeed.There are many timers, most of them are complicated to use and badly designed. This timer is super easy to use, looks great, numbers are large and can be seen even when standing far away. Original idea came from this “TEDx” timer, that you can download for free. It is the best timer to measures my 25 times. It’s amazing! I just downloaded and purchased this app for telephone. It’s really amazing, and it’s easy to use. I want to use it at a meeting of our company and so it will be even better. Please, sorry for my English! 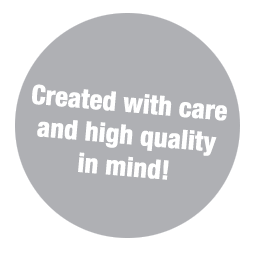 Hi Igor, thank you for your business and thanks for writing in. We might implement some ideas in future versions of this timer. I just downloaded the app. It is good but there are missing many features ! I also testet the app Speakers Countdown. – You have a signal. Green, orange and red. You can set the time, when the signal changes the color. All in all SpeakersCountdown is a very good app with very good features. But if you want to have a compact app minimalistic countdown timer is a good one. In this version, is the “Time’s Up” message editable at the end. I would need to change it to Chinese. Love the large digits on that one. It’s really all a good timer needs. I’ve been using timer pop to this point. It’s similar but has one additional feature to save your 3 most used times – kinda handy. Sounds like a great app with really nice features. One question regarding features though: is there an option to start the timer from let’s say an iPhone or iPod touch, but display it on an iPad, that’s mounted somewhere a little off the stage (in good sight, but not really accessible for the speaker)? I got your iOS 6.0 ver for an old phone I want this for, but I want to countdown to a future date (retirement in 3 years ! ). Nice work! Will it enable me to countdown longer than 60minutes? Hi, goes up to 99 minutes. Thank you for the timer its really easy to use. But i want that if i have three speakers each having different time slots i can set their times in a series in such a way that when the other one elapses, the next one starts immediately without me having to reset for the next person. Hi, this timer does not offer such feature, there are some apps that can do that. But otherwise this timer is really quick to set up, it takes a couple of seconds at most to set and start another time. I love this timer, but can’t use it with iOS 11 (64 Bit Apps needed!) What are your plans? 1) It be great to be able to change/customize the timer up message to whatever we wanted it to say. 2) I tried to hook up a speaker to my iPad to be able to amplify the bell at the end of the timer. Can barely hear it. Speaker is working with other apps. 3) It would be also be great if we can customize the bell sound to whatever we would like, to be able to choose from a list of sounds like in a smartphone, or add our own. Hi Dave, thank you for the email and suggestions. 1) We have only MAC version for that. 2) Not sure what the issue is here, as far we know and tested this was not a problem on our devices. APP STORE PRODUCT USAGE RULES ( i )If you are an individual acting in your personal capacity, you may download and sync an App Store Product for personal, noncommercial use on any iOS Device you own or control. ( ii ) If you are a commercial enterprise or educational institution, you may download and sync an App Store Product for use by either (a) a single individual on one or more iOS Devices used by that individual that you own or control or (b) multiple individuals, on a single shared iOS Device you own or control. For example, a single employee may use an App Store Product on both the employee’s iPhone and iPad, or multiple students may serially use an App Store Product on a single iPad located at a resource center or library. For the sake of clarity, each iOS Device used serially by multiple users requires a separate license.